This past Wednesday evening I had the privilege of attending and participating in the Ignite Your Passion for Discovery Education event in downtown Vancouver. Not only did I get the opportunity to be face to face with so many incredible educators I follow on Twitter, but I also received some excellent professional development. If you're not familiar with the Ignite format you create 20 slides, and have exactly 15 seconds per slide to share your story. It's a five minute pressure cooker because if you get off on one slide it can mess you up for the rest of your presentation. Or not... :-) Unfortunately I don't think my ignite session was recorded but I will try to share it here. I will include the script I had written, but any one who was there will know that in the end I completely ignored my script. I'm hoping this script was close enough to what I shared on Wednesday night. 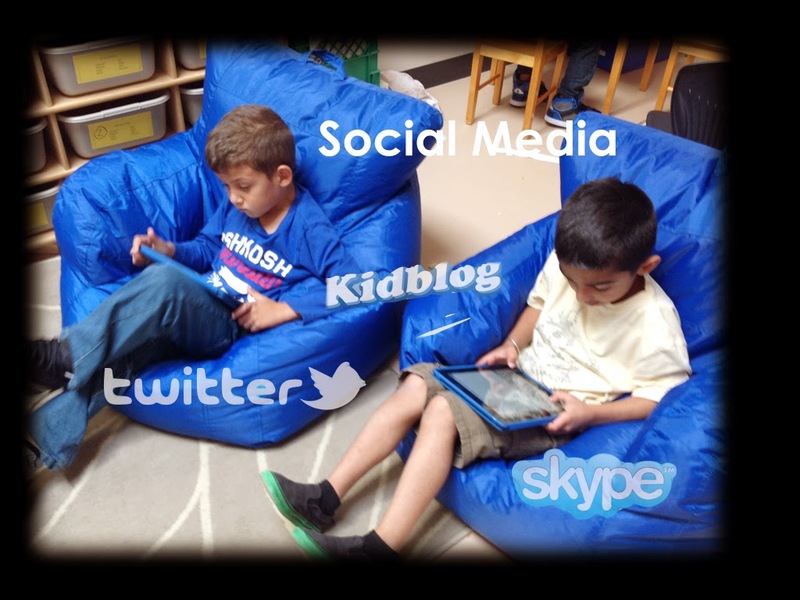 According to Wikipedia “Social media is the social interaction among people in which they create, share or exchange information, ideas, and pictures/videos in virtual communities and networks.” But in a early primary classroom? Really? YES! 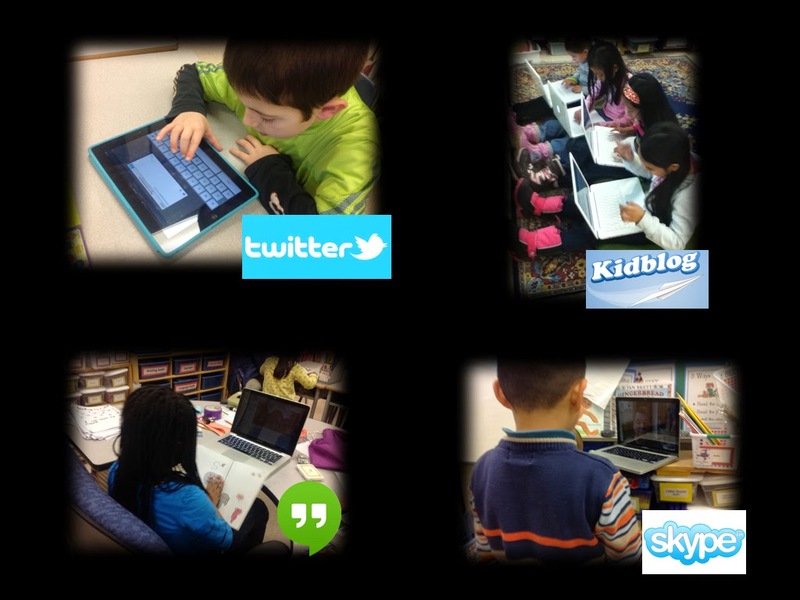 In my grade one/two classroom we tweet, blog and video conference. 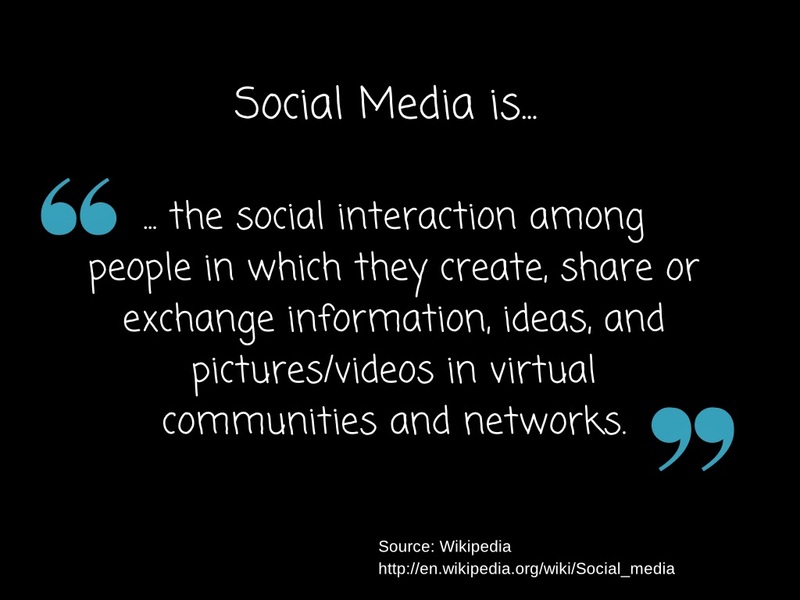 We use social media a lot to learn, show, and share our knowledge. It’s a regular part of how we learn and allows us to explore and learn with the world. Let me explain. 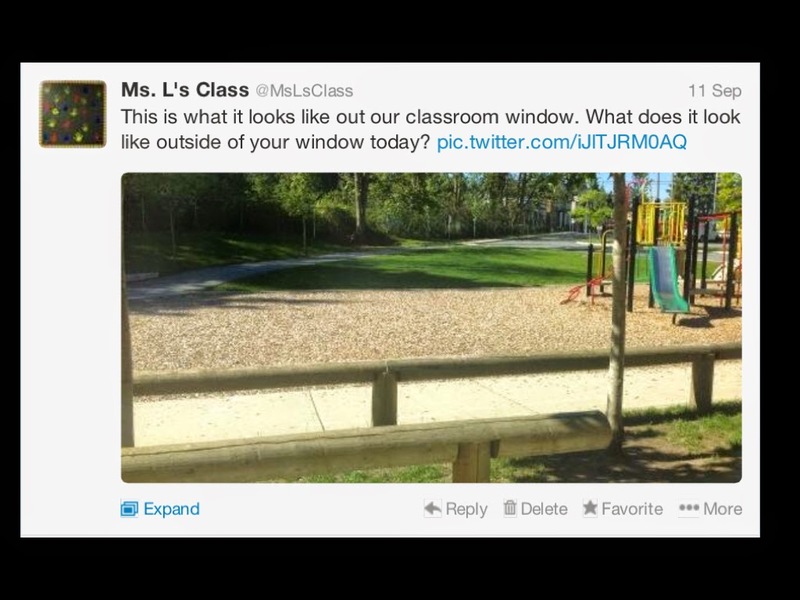 Last year during our first few days of school my students sent out one simple tweet. This is what it looks like out our window. What does it look like outside of your window today? The students were skeptical at first but the twitter universe did not disappoint. The world responded. 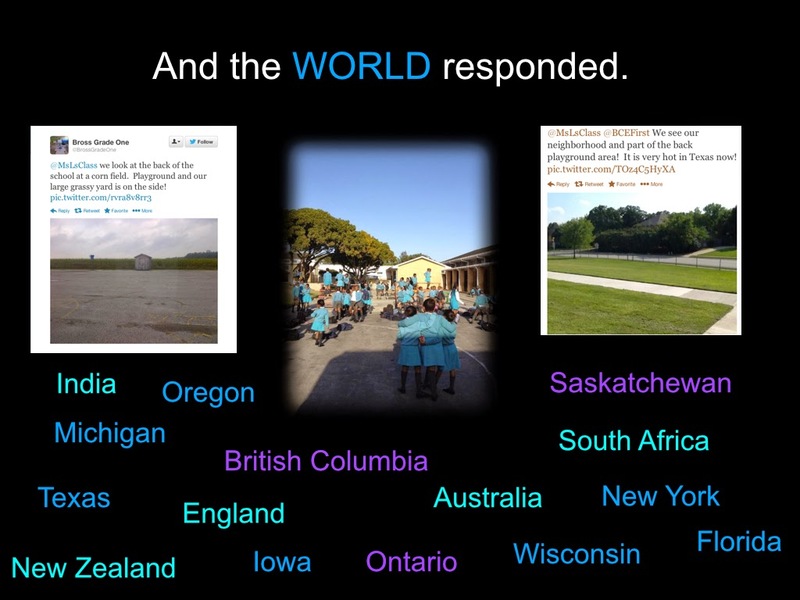 We had tweets from all over the world. India, Australia, South Africa, England each bringing a new set of questions for us to ask, which we did. 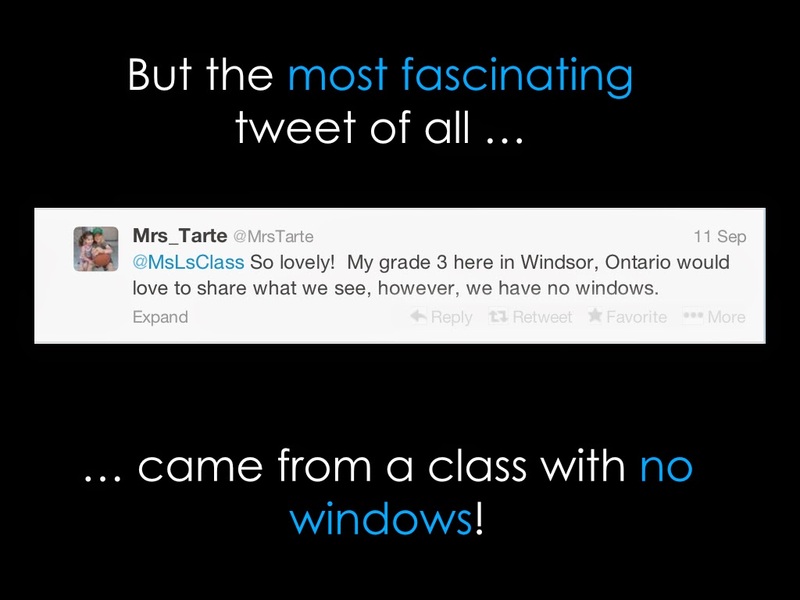 But the most fascinating tweet of all was the one from a school in Windsor Ontario, because they had no windows. Of course we had to find out why, and we were relieved to find out that their school did have windows, there just weren’t any in their inner pod. 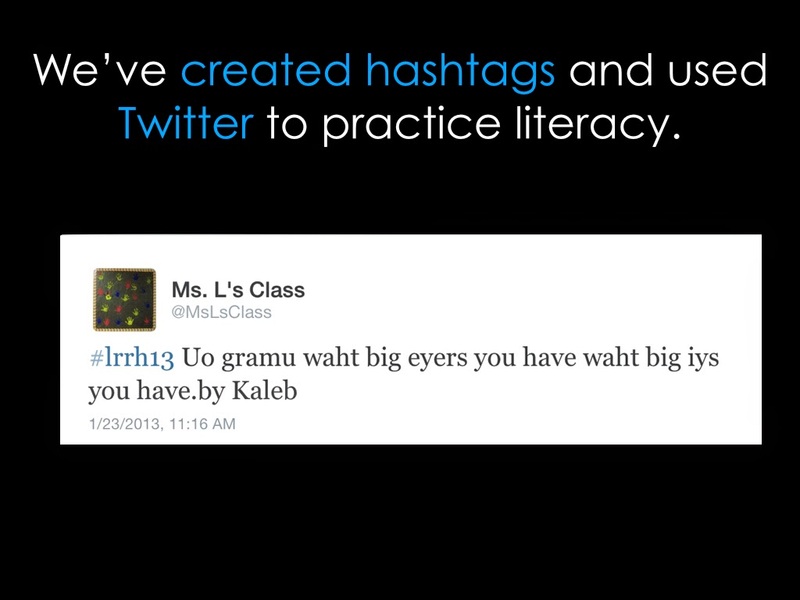 We’ve created hashtags and used twitter to practice literacy skills. This is an example during our fairy tale unit where we were tweeting in the voice of characters from little read riding hood. We’ve tweeted to a grade one book club hashtag, and to many other literacy adventures. We’ve used it to for numeracy too. 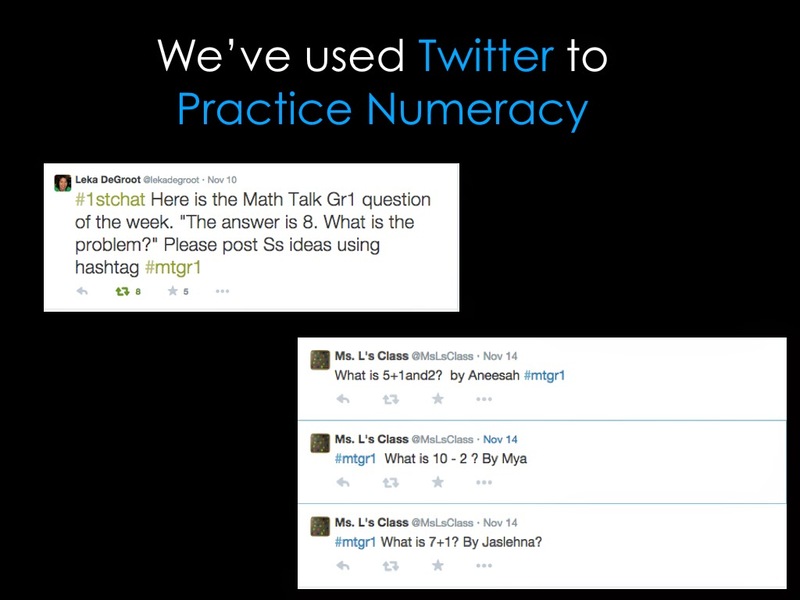 Right now we are taking part in a weekly math talk where a question is asked, and we must answer it. This week the question was, “The answer is 8, what is the question? 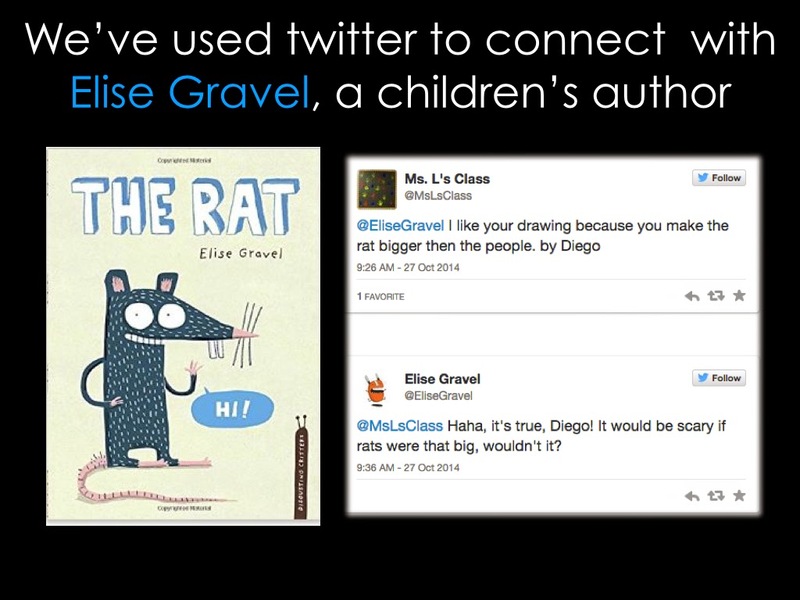 After reading the Rat by Elise Gravel we decided to tweet her, and let her know what we liked about her book about rats. She was so fantastic, responding personally and specifically to each of my students tweets. 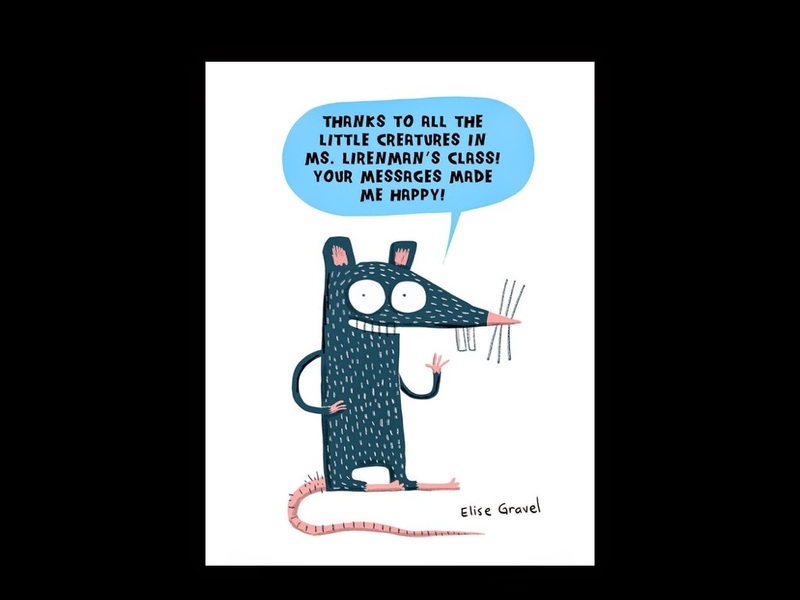 But the coolest thing of all, one of the most incredible interactions we’ve had with twitter so far this year, is that she created and tweeted an illustration of the main character in her book thanking my students for their tweets! Can you imagine how powerful that was for them. We also use our student blogs to share and learn with the world too. 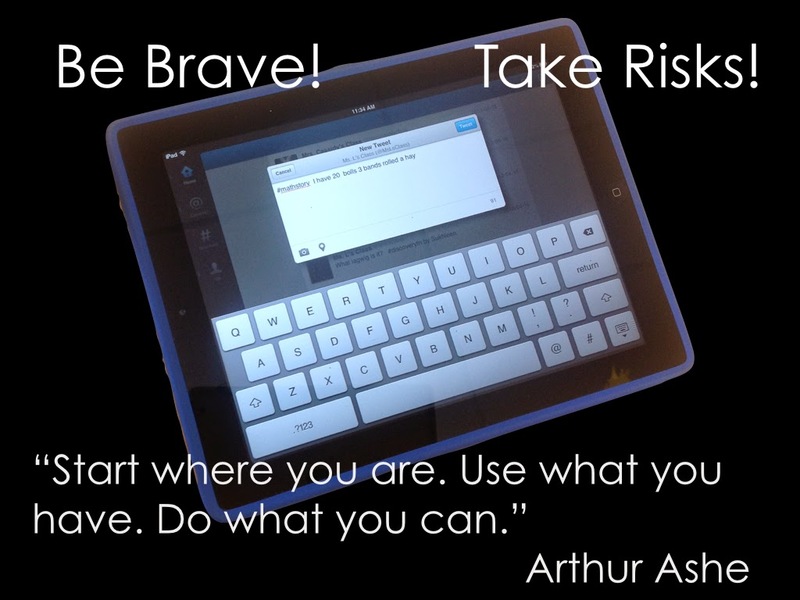 We are brave and take risks. We are not afraid to show what we know, and what we are learning. 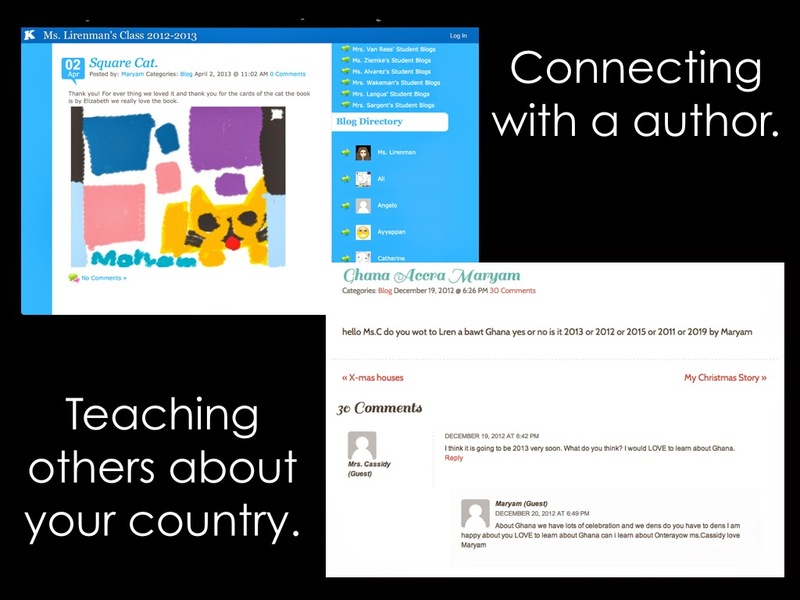 We see visit other blogs and learn from them too. Take for example this little girl. 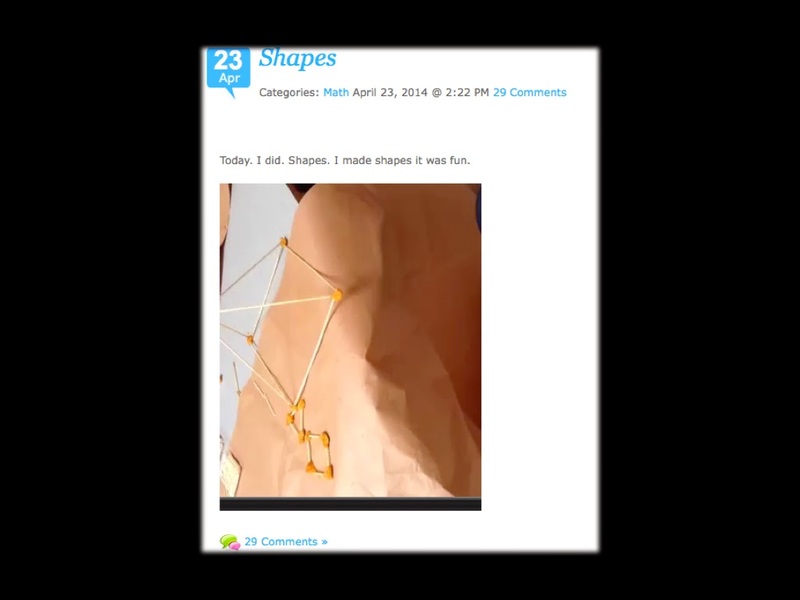 She created 2D and 3D shapes and wanted the world to see them on her blog. She even said so in the recording she made. The blog post was shared on twitter. Can you imagine the look on her face when she returned to school the next day to see so many people had commented on her blog? And of course in my class my students know that using social media, and in this case twitter, is two way communication so she took the time to respond to many of her comments. Talk about motivation and authenticity. 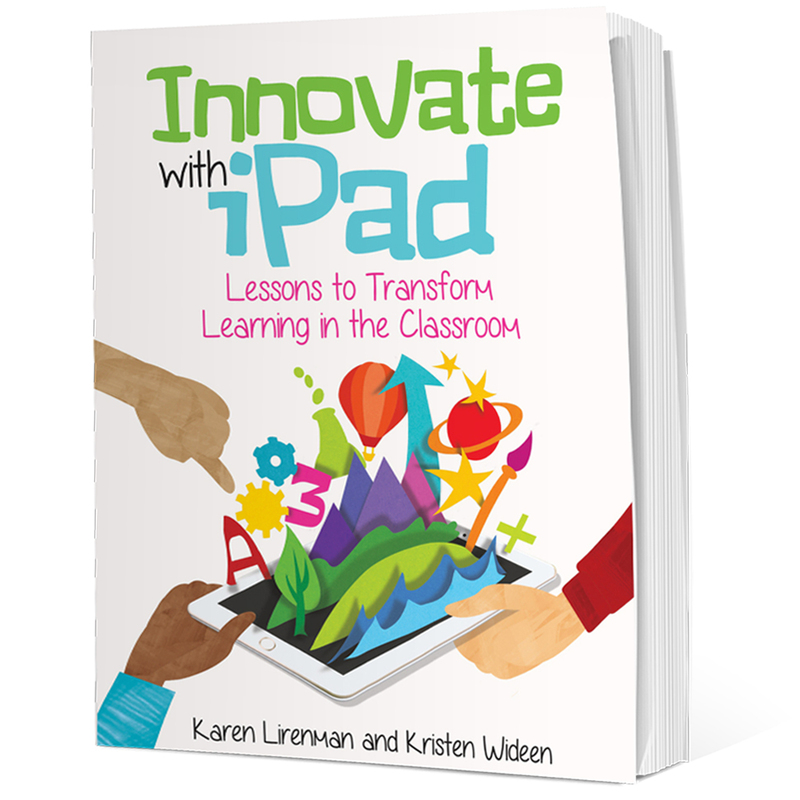 We’ve used our blogs to connect with authors, and to teach others about topics that are special to us. We’ve used our blogs in a variety of ways, but always trying to have interactions with our readers. 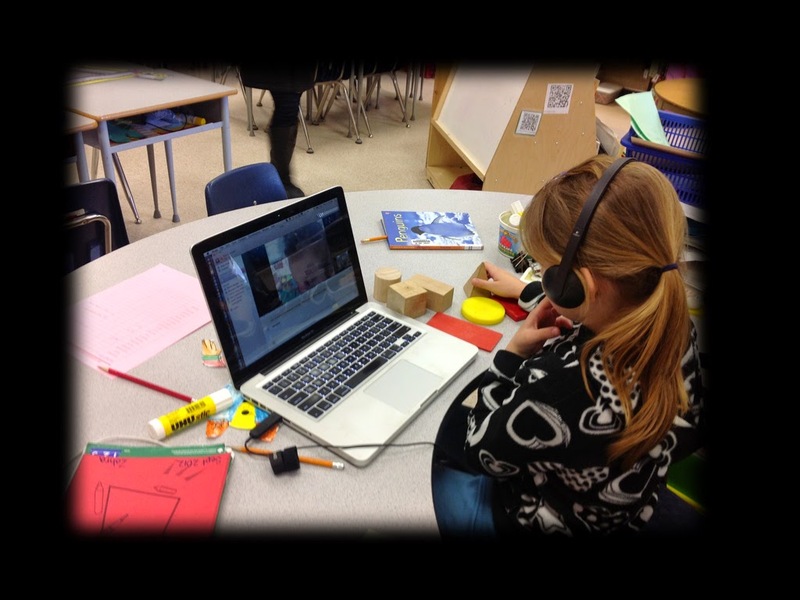 But we also learn with others through video conferencing. Here we are playing guess my number with a class in Moose Jaw, Saskatchewan. We are trying to figure out their mystery number by asking questions. We learn a lot with others near and far. Here my student is practicing her reading, by reading to a teacher candidate two provinces over. She is receiving specific one on one feedback because she is willing to be brave and share her reading through the skype. 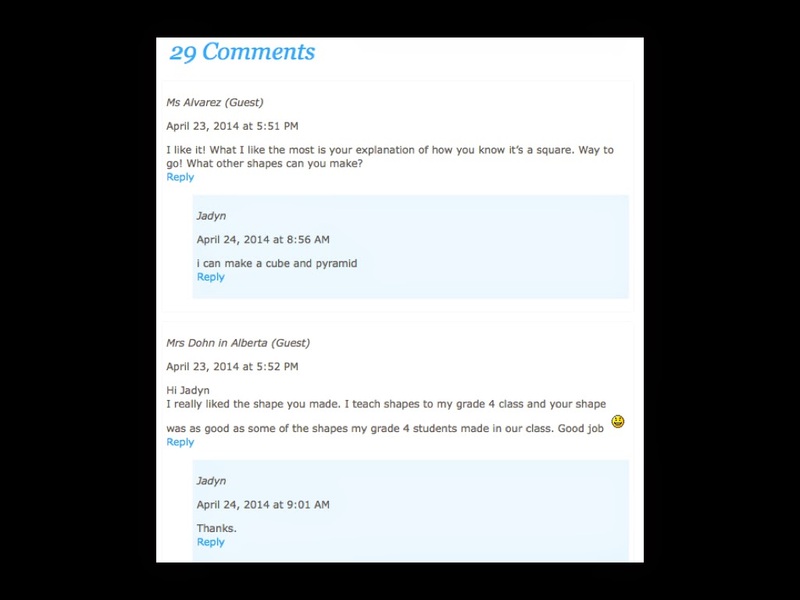 This student is solidifying her math skills by asking and answering questions with a student in Iowa. Together they are strengthen their knowledge of two and three dimensional shapes, taking turns, and having fun learning. But wait! 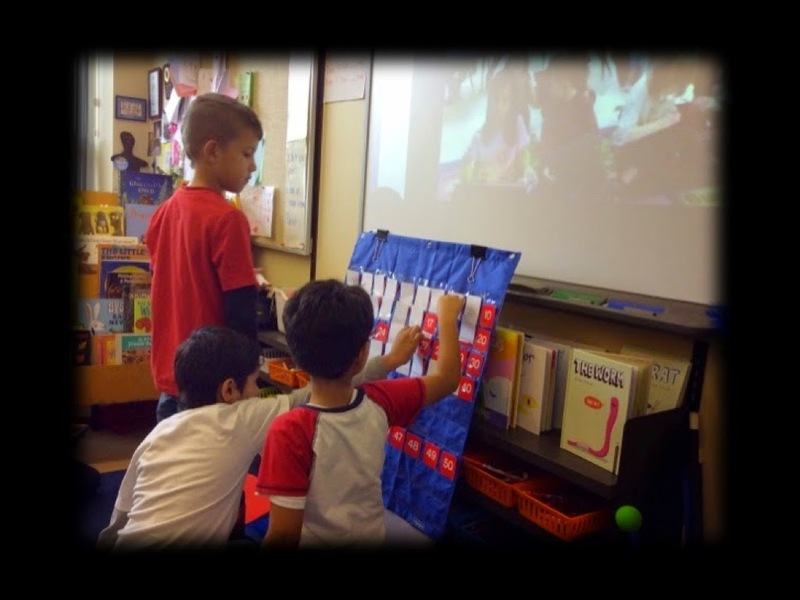 I am not sharing what we do in our classroom because it’s what you need to do in yours. My students are different than yours. 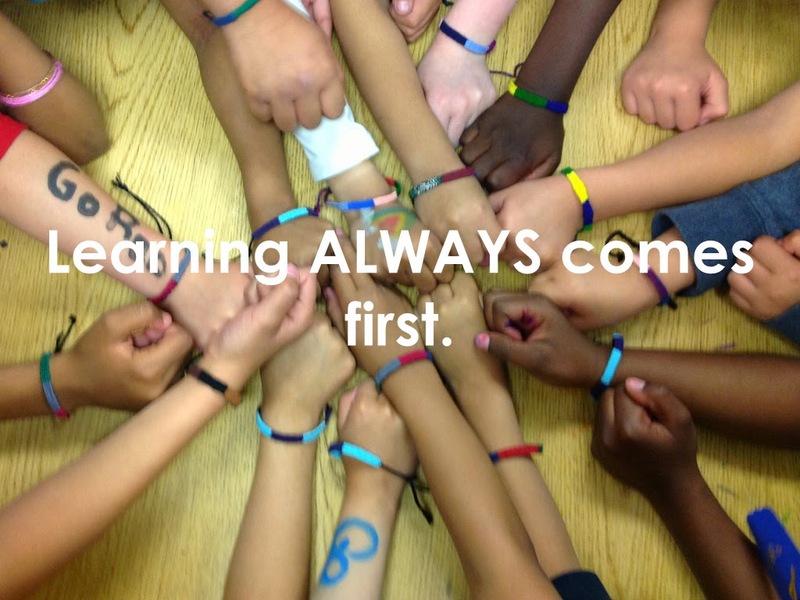 Each one of us has different learners with very different learning needs. 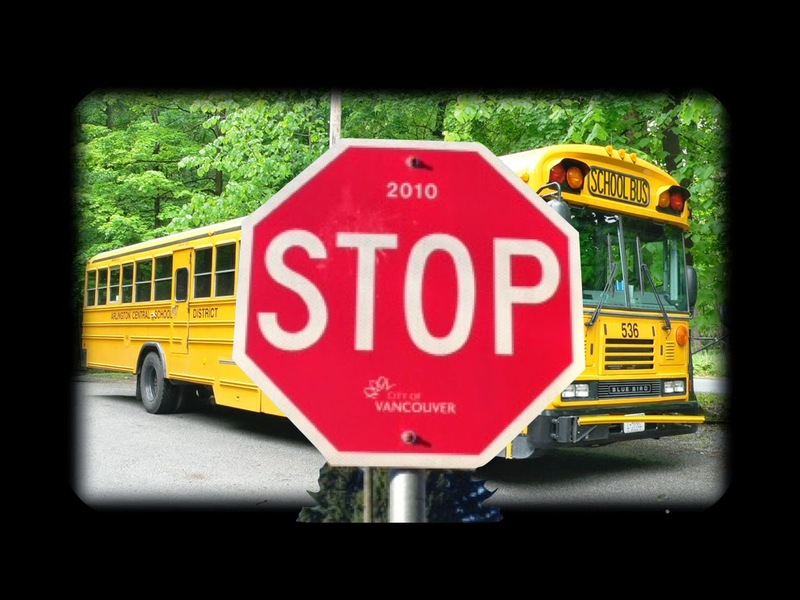 Our students are heading in different directions and need to ride their own busses. That’s the thing, using social media should never be about the tools like twitter, blogging, or video conferencing. It must always be about the learning. What we do with our students must always be about learning. But social media is a powerful tool to learn with. I need to be brave, and open to take risks. And I know that sometimes those interactions don’t go as I planned, but there is just as much learning happening when things go well as when things go wrong. 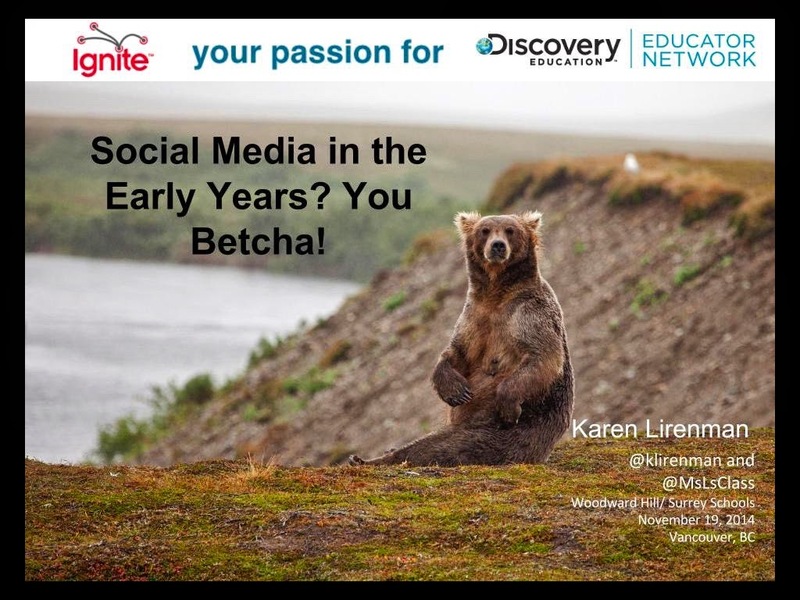 But the thing is social media is a fabulous tool to learn with, even in the early years. However you must always remember that focus is on the learning, and it must always come first. Thank you. 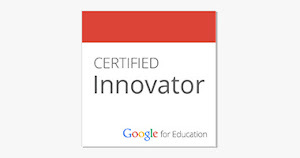 A special thank you to Dean Shareski and Discovery Education team for giving me this opportunity. It was a wonderful night of learning and sharing with so many incredible people. I have read the all comments regarding your inquiry about Online poetry. Thanks for starting this conversation.